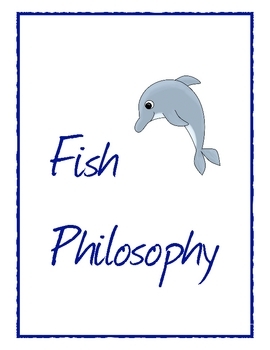 The Fish Philosophy is a positive behavioral management system used in my classroom. 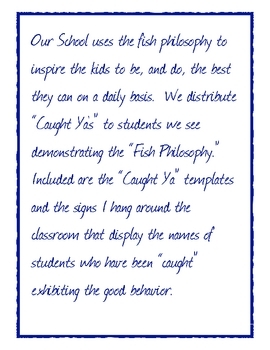 This file contains posters and printable "Caught Ya's!" 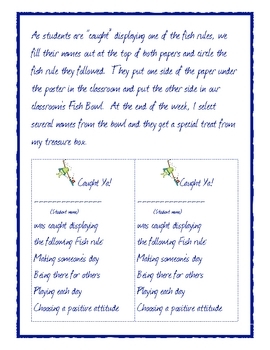 you can hand out to your students for positive behaviors. 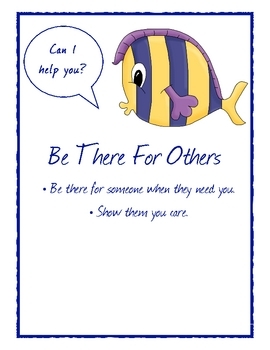 Teach your students how to Make Someone's Day, Be There For Others, Choose Your Positive Attitude, and Play Each Day.